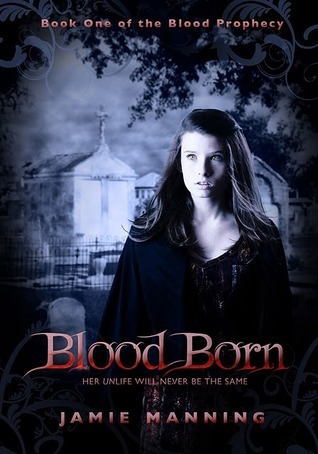 Come join us for the Blood Born blog tour starting Monday April 2nd. The tour will run from April 2nd until April 13th. This will be Jamie's debut novel and the tour will be a lot of fun. We have reviews, features and giveaways throughout the full tour. Then the last day you won't want to miss your chance at winning the grand prize. Then on Friday, April 27th mark your calendars. We will have Jamie on the blog for a live chat at 9PM CST (7 PM PST). Don't miss that, chats are always fun!!! Available: Amazon <~~~ BUY THE BOOK!!!! Summary: (from goodreads) Waking up in a coffin hungry for blood is only the beginning for sixteen-year-old Ava Blue. When Chance Caldon, the hottie who dug her up, tells her that she’s half vampire, Ava’s world really turns upside down. Sounds lovely ...i will be sure and visit all the tour stops. oh man, waking up in a coffin would be so freaky! I love the teaser, I will try to stop by as many spots as possible! Looking forward to following the tour, or better said going back over it. This sounds like an awesome read and definitely one for the wishlist :) Thanks for sharing! The tour was excellent!!! Thanks so much! !